I usually talk about my kids here on the Disney Babies Blog. Today, it's all about me! 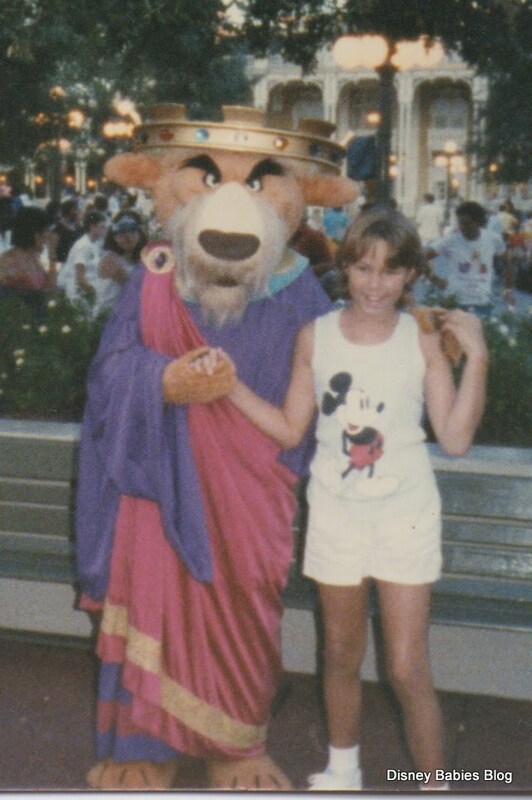 Well it is really about one of my favorite pastimes at Disney, and one that I often do not allow enough time for: Meeting Characters - one in particular. Here are two pictures of me with my -um- Prince Charming! I'll be looking for you really soon! Reminder: Today is your last day to enter The Disney Lifestyle Blog's D23 watch giveaway. Click here for all the details. And today on The Disney Lifestyle Blog, I have lots of great ideas to fill your little one's Easter basket full of Disney delights! Great pictures! 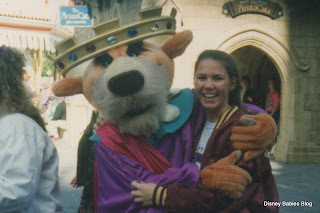 I haven't seen Prince John in the parks in a long time, but my kids love Robin Hood and several Disney stories we have featuring Prince John, so we will be on the lookout for him in October!